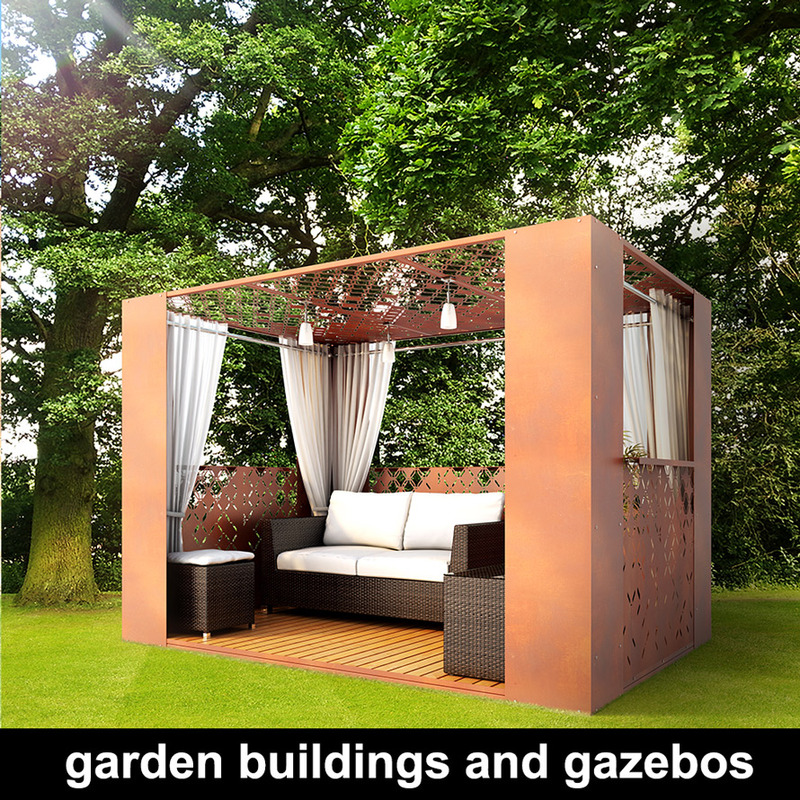 We are delighted to announce the launch of our modular garden buildings range in laser cut metal. 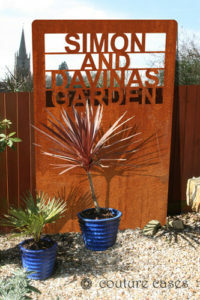 Perfect for modern gardens, landscapes, exterior patio areas, open and enclosed garden spaces. 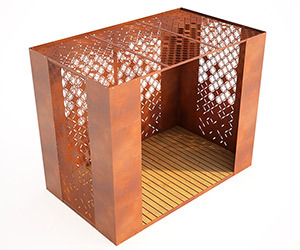 We manufacture decorative laser cut metal pergolas, pagodas, summer houses and gazebos in corten steel for the rustic and ultra modern look so popular today. 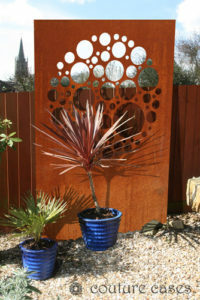 Beautiful decorative privacy screens and bespoke garden art. 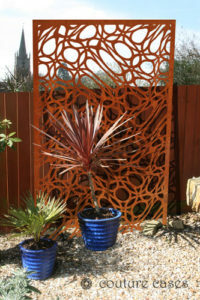 Panels can be wall mounted or freestanding. Accentuate your planting and landscaping with these garden screens available in 100’s of designs. 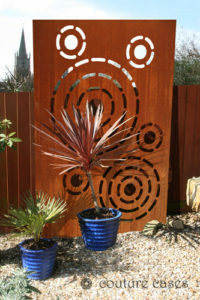 Simply click on the laser cut patterns link below to view all the latest designs. 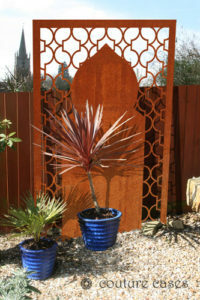 We also make bespoke garden screens to your design. Contact us via the enquiries form below and one of our award winning design team will provide all the necessary support and guidance. 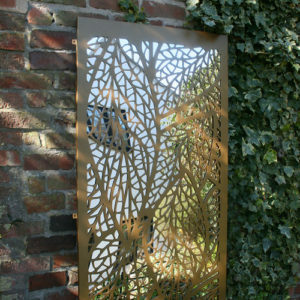 Beautiful custom made garden gates in our exclusive design ranges. 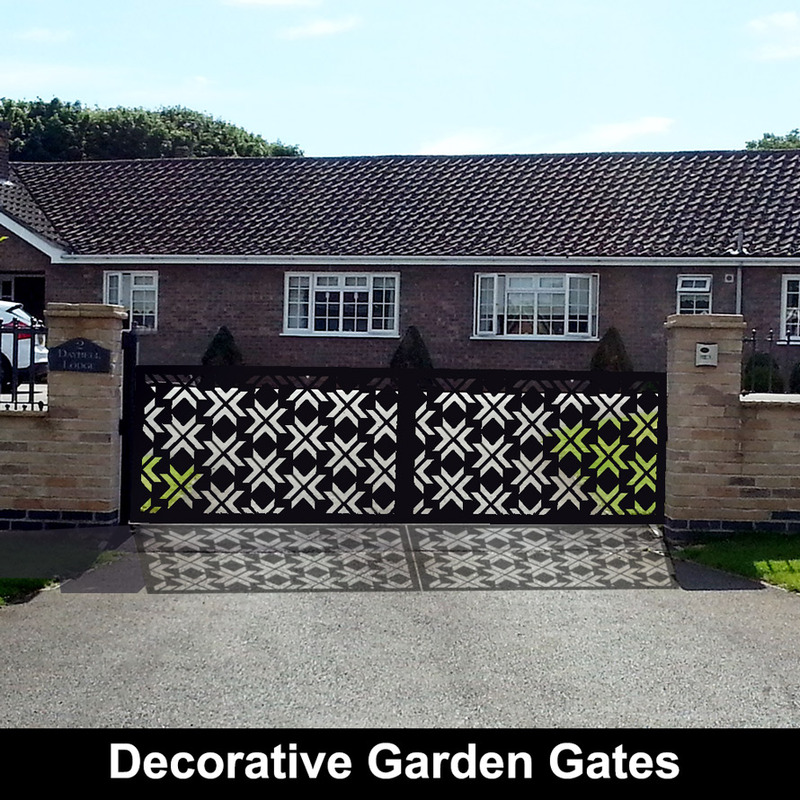 Choose a garden gate design that compliments your garden or home. 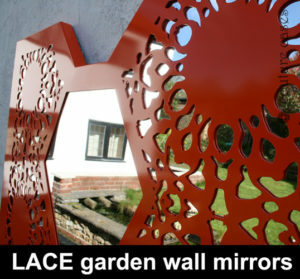 Beautiful garden mirrors in lots of colours and design styles. 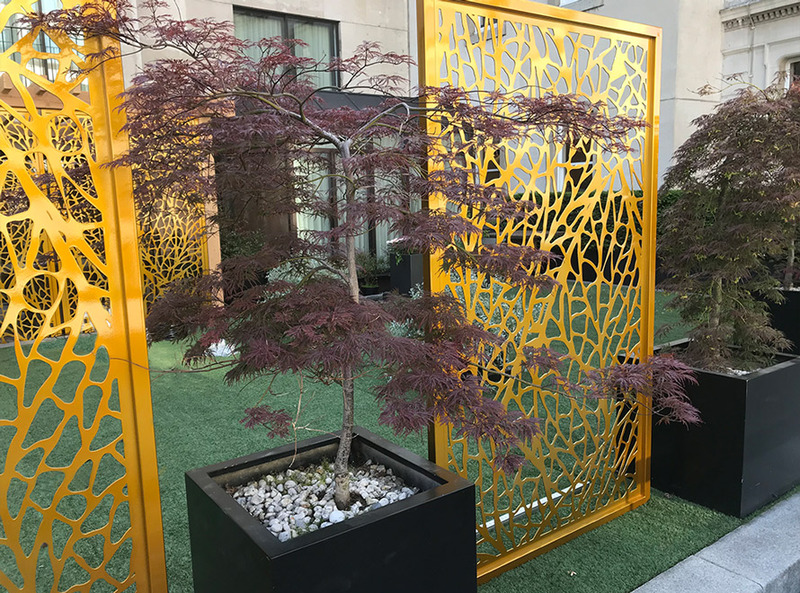 Manufactured in aluminium to prevent rusting, or corten steel if you prefer the rusted oxidised look, every bespoke garden mirror is custom made to your exact specification and size. Contact us with your ideas and we will do the rest. Transform your space with our modular metal space dividers. 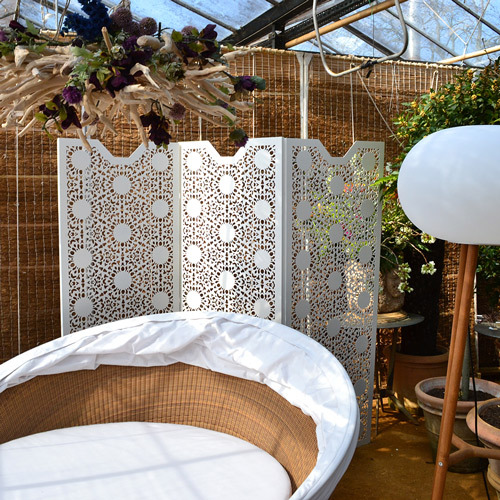 Perfect as privacy screens for any interior setting.